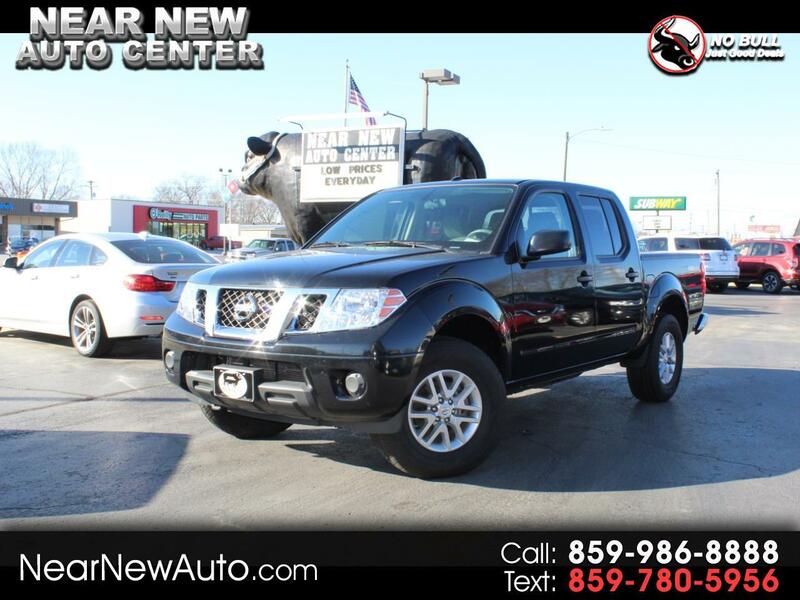 2017 Nissan Frontier **Go to NEARNEWAUTO.COM for more information** 100% Like New 2017 Nissan Frontier, Crew Cab, 4x4, V-6 Automatic, Only 17,000 Miles, Alloy Wheels, Smoke Free Interior, Very Well Maintained, Still Under Full Factory Warranty, Save Thousands vs New without Sacrificing Quality! Want a different picture, another angle, question about options or vehicle history? Don't hesitate to call or stop by and we will be happy to accommodate your request. In business for over 40 years at same location with owners here every day to take care of our customers. Come see the difference and take advantage of our on the lot financing and low interest rates. View our entire inventory and more pictures at www.nearnewauto.com or Call 1-888-861-7198 for more information. Visit Near New Auto Center online at www.nearnewauto.com to see more pictures of this vehicle or call us at 859-986-8888 today to schedule your test drive. Message: Thought you might be interested in this 2017 Nissan Frontier. All vehicles include a Carfax buyback guarantee. Want a different picture, another angle, questions about options or vehicle history? Don't hesitate to stop by, call, text or email and we will answer any question or concerns you have. Click on Carstory tab above picture for more information about price, features and safety ratings. Proudly serving you since 1976. Why buy a Near New Auto?